Then in summer 2014, when we were killing time for half an hour by driving around the country lanes, we took a “wrong” turn in the vicinity of Sturminster Marshall. 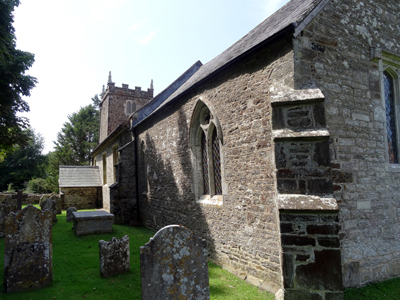 And there, surrounded by patches of woodland and farmers’ fields, was a church. 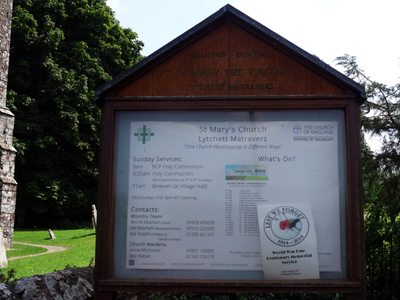 I was amazed – the nearest village was Lytchett Matravers, so this must be St Mary’s! On another day we went back and I took the pictures featured here. Sadly the door was locked (a sign of the times) and we could not look at the interior. What is this recess beside the door? 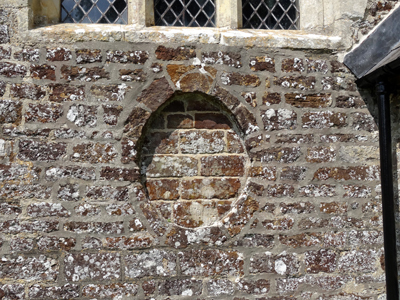 A bricked-up window or a place for a plaque? But why was this church in the middle of nowhere? The mystery of St Mary’s all became clear when I got home to Wales and Googled it. But first a mention for my Lytchett Matravers forebears. My great great great grandparents were married here on December 21, 1830. 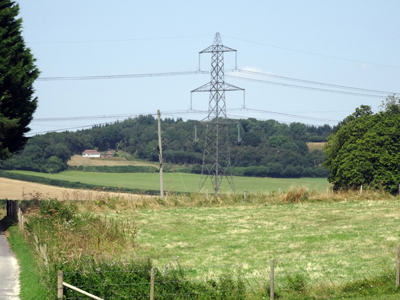 Joseph Giles was a farm labourer from Winterbourne Whitechurch, a village to the north-west, and Ann Masterman was from Sturminster Marshall, to the north. They had two sons. George Giles was christened here in January 1833 and then my great great grandfather William Masterman Giles in August 1835. 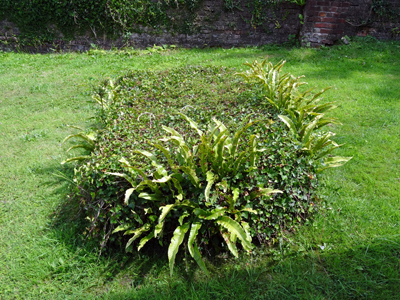 George became a carpenter and wheelwright and William graduated from farm labourer to gardener before the age of 25 and ended up in Poole. Joseph turned from farm labourer into “common carrier”, which I suppose means he had a cart or wagon. 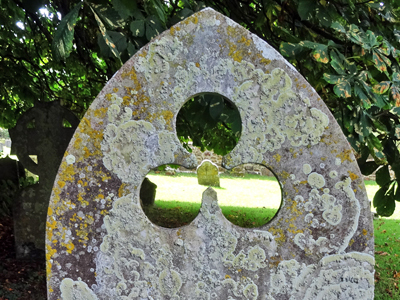 He and Ann are to be found in Lytchett Matravers in the censuses from 1841 to 1871, but Ann died in 1872 – and I suppose she is buried in St Mary’s churchyard. By 1881 Joseph is running a public house in the New Forest with son George and his family, although he then died a year later. Don’t you just love this lichen? But let’s get back to the mystery of the church in the middle of nowhere. Most of the information is from the Wikipedia page, to which “SMLM” church members themselves have been encouraged to contribute. The church was probably built in Norman times, though an exact date isn’t known. 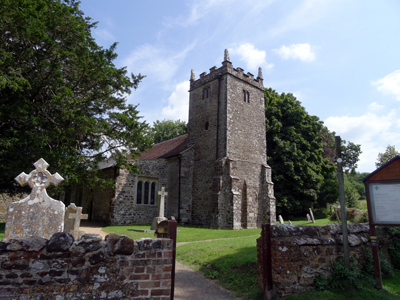 At the time of the Domesday Book (1086), the lord of the manor of Lytchett Matravers was Sir John Maltravers (the name lost the L eventually). 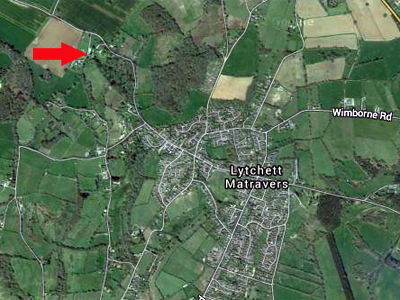 By the way, the Lytchett part of the name means “grey wood” in the old British language. Which isn’t too far removed from Llwydcoed, which means the same in Welsh. It’s possible Sir John’s descendant Sir Walter Maltravers had the church built next to his manor house around the year 1200, while he was away on a crusade to the Holy Land. The west tower, nave and chancel were built at this time, followed by the north aisle in the 14th century. There are six very old bells in the tower. 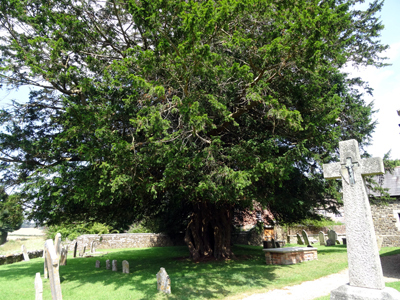 In the church graveyard is a yew tree much older than the church, suggesting this has long been a holy place and there may have been a Saxon church made of wood here before the Norman conquest. In the 1980s the tree was dated at 1700 years old or more. The answer to the mystery of why the church is not in the middle of the village seems to be the Black Death. This plague peaked between 1346 and 1353 and killed maybe 200 million people across Europe. In the middle of this period it halved the population of England. The first case in England was not too far away from here – it was a seaman who arrived at Weymouth, Dorset, from Gascony in June 1348. The plague was carried by rat fleas and the black rats hosting these fleas were common on merchant ships travelling all over the world. 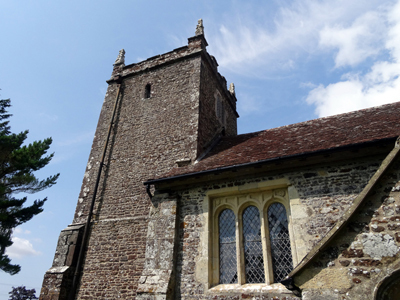 It’s a local tradition in Lytchett Matravers that the surviving villagers moved away from the location of the manor and neighbouring church during the Black Death, to higher ground. The church fell into disuse and the villagers used a chapel in the new village centre. It was not long after this, in 1365, that the then lord of the manor, Sir John Maltravers died. His claim to fame was that he probably killed King Edward II. There was a lot of civil war in the land at the time. His eventual heir, granddaughter Eleanor, took the manor and title to her husband’s family, the Fitzalans, Earls of Arundel, who later became the Dukes of Norfolk and are still Barons Maltravers. Time passed and in the 1600s the Arundel family restored St Mary’s and built the newer north aisle of the church. 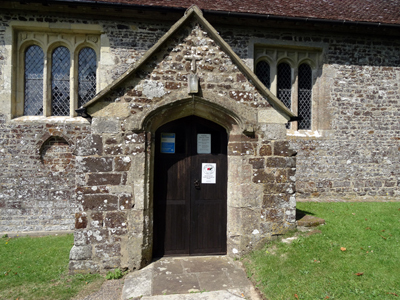 The chapel in the village was closed and St Mary’s once again became the centre of worship. Most of the congregation probably had to stand up until the Victorians put in pews. They also installed a pipe organ in 1891. A century later an electronic organ took over. The parishioners seem to be doing a good job protecting and restoring the inside of the church in the 21st century, but as we were not able to enter the church, I can’t say much about it! There are no longer lords of the manor here at Lytchett Matravers. 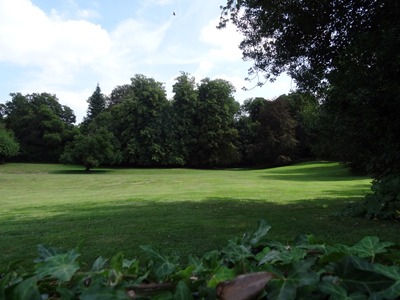 The Arundels sold the estate to the Trenchard family, who demolished the old manor house and built a new one. The family foundered and the Dillons took on the estate and became Dillon-Trenchards. Then in the late 20th century they went off to New Zealand. Thank you to Debbie Phipps, tower captain of the bellringers at the church, for pointing me to information about the church’s interior and its history, which you can read here. Hi Pat, Love this story of your ancestors. You mentioned the parishioners probably had to stand in the church. I wonder, had you been able to get into this church if there were any misericords carved on the side of the pews. It would have been interesting to see inside. I always thought misericords were for the clergy to lean against, rather than the poor parishioners. But I learned only recently that the stone ledge you often get around the inside of the church walls are for the old and infirm to sit on. I guess the ordinary people really did have to just stand there and try not to sway too much! Who knows? One day you may have an unexpected inheritance! 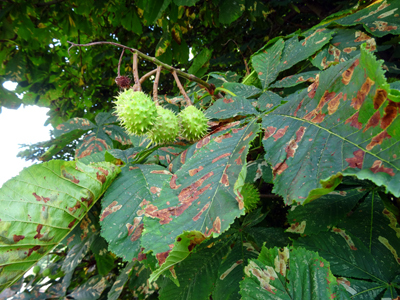 Great post Pat, have realy enjoyed reading it, at the moment I am reading a book called ‘God’s Acre’ by Francesca Greennoak, it’s all about the flowers,animals of the parish churchyard, with beautiful images and drawings. I think you would enjoy this book. Would you believe I was so impressed by your recommendation that I have ordered the book! I don’t buy many physical books lately as I have no room! But that looked a lovely little one, so I just had to have it. Thank you! 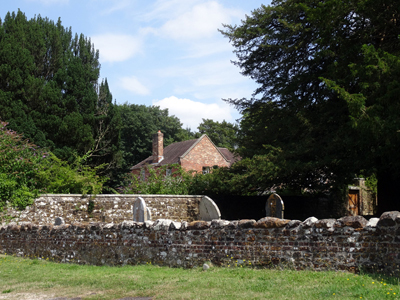 I spent much of my youth in the village churchyard – great places, aren’t they? Let’s hear it for “killing time” and happy accidents! A fascinating bit of history and I DO love the lichen. The history in this post is rich! How wonderful to discover and then explore your ancestral church. I so enjoyed visiting my husband’s ancestral village in Tuscany. Maybe someday I’ll discover my own European ancestral villages (mostly in western Europe). Beautiful post! Tuscany always sounds wonderful so it must be great to have connections there. I wonder what part of Western Europe you mean? It seems a big place with lots of different countries to us – but I guess it doesn’t look very big to someone from the huge USA! re. the lichen. 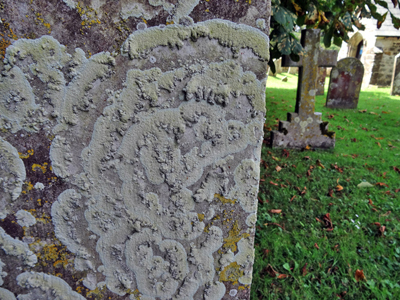 You may be interested in this http://www.scottishgraveyards.org.uk/downloads/5lichen.pdf if you haven’t come across it already. 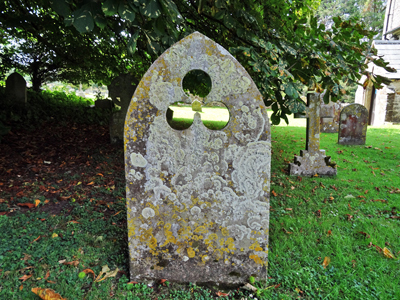 It says because grave stones have dates on them and lichens there tend to be undisturbed, they can jointly be used to help date un-dated buildings near by. That’s some yew! Can one step inside between the trunks? Thank you for that link – fascinating. I have made a copy of the PDF to read in more detail later. 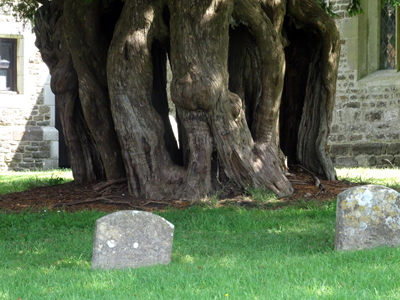 Annoyingly I didn’t pay the yew as much attention as I should have, but no, I don’t think I could have squeezed inside. And I’m not sure I would have, as I am haunted by images of Baucis and Philemon, read at junior school! 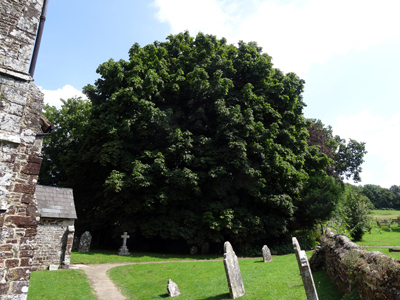 Here is some more info about old churchyard yews in Dorset: http://www.ancient-yew.org/userfiles/file/Dorset%20South%20East.pdf and Lytchett is mentioned. Lovely to see that you visited St Mary’s last year. I am sorry you couldn’t get access, unfortunately, as you say it is a sign of the times. In such an isolated spot we’re unable to keep our beautiful building open on a regular basis without someone present. We have been keeping the Church open for periods of time during Saturdays in the summer months where possible. If you are ever passing by (I realise you live some way away) do give one of the numbers on the noticeboard a call, there is usually someone available to meet you down there and show you around. Thank you for that. I may take you up on the offer next time I am down that way! OMG…I cannot believe I stumbled across your blog. You have done a fabulous job!!!! And I need to ask you a favor. I am unable to read the phone number on that sign to call and ask to see inside the church. My 7G grandparents were married in St. Mary’s church and they are also buried there and we are making a trip to that area in June. PLEASE HELP!!! Thank you so much in advance!!! Glad to be of help, if I can be. I can tell you what it says on the picture but looking at their website I think they may be between vicars at the moment, so it may be misleading. The website http://www.smlm.co.uk/contact/ suggests contacting the church wardens: Annie Mitchener 01202 622512 or 07831 129201 or Mat Riddell 07743 720175. Let me know if that works OK for you. All the best – hope the sun shines! I’m not sure I could find it again, actually! I’m so glad I came across this post. My 3 x Grandfather, William Mortimer Heath, was the Rector of this Parish for 65 years! I really enjoyed all the pictures. Hi. I am tower Captain at the church and so sorry you were not able to get inside. If anyone comes gain please contact us and we would be happy to open up for you. We are unable to leave the church open at the moment being so remote but when we have a new fixed sound system we might be able to open more often. The history of our church can be found on our History page http://www.smlm.co.uk/blog/history-wiki/ This is the information about the Oval Recess mentioned earlier. Below the westernmost window, on the southern side is a small oval recess, now seen only from the outside. 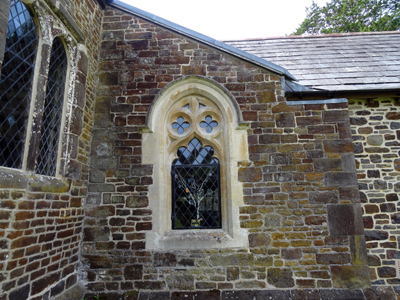 Village legend is that it was a window to watch the rector coming down the church footpath for the services. 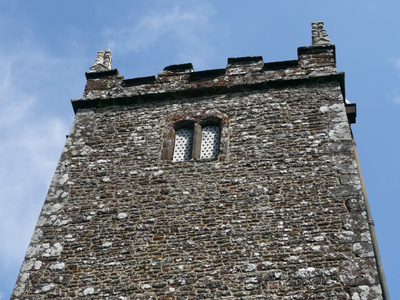 Sometimes such windows are known as ‘leper windows’ or used for confessions, but a more likely explanation seems to be that the Sanctus bell was rung from the window. Thank you for all that! 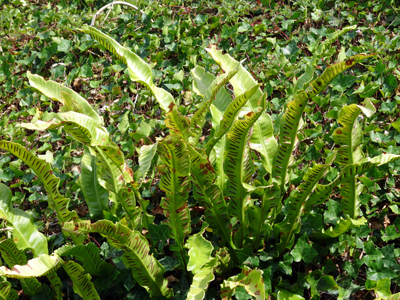 I have added in links to your information on the blog post. Although I would love to visit again I’m afraid our mobility has become a bit limited at the moment as my husband needs a hip replacement and has stopped driving! But thank you for the offer to let us in – and at least now I have glimpsed the interior thanks to your history page.